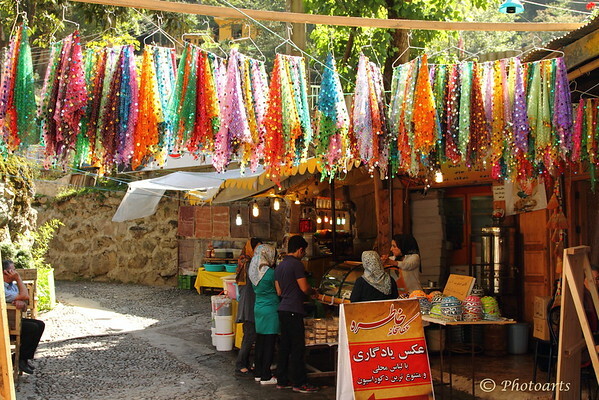 Colorful scarfs hung outside a souvenir shop caught my attention in old town of Masuleh, in Gilan province in northwest Iran. Great array of colors in these scarves. They look very sparkly and fancy, tho the scarf being worn by the woman selling them is all black. Love this street scene - fantastic colors! Excellent street scene! Beautiful light and colors. I love those scarfs! Great colors and street scene.